The statement made by Mr. Mahinda Rajapaksa the former head of state in Sri Lanka, that ‘establishing the office of the Missing Persons is a betrayal of the armed forces’ is a statement unbecoming of a former head of the state and a prominent political leader in Sri Lanka. What it directly says is that enforced disappearances which is an internationally recognised heinous crime should not be investigated in Sri Lanka because the culprits may involve some members of the armed forces. It is one of the basic norms of a civilised society that crimes must be investigated, irrespective of whoever the suspects are. A civilised legal system could exist only on the acceptance of this fundamental norm that all crimes should be prosecuted. Prosecution of a crime is an imperative duty of the state. No state can make any exception to this rule except at the cost of undermining its own authority. The period of rule by Mr Rajapaksa was known for relativizing the norms relating to prosecution of crimes. The cases of assassinations like that of the former Sunday Leader Editor, Lasantha Wickrematunge, the disappearance of Prageeth Ekneligoda, and others as well as attacks on journalists including the brutal attack on Poddala Jayantha, are but a few instances that demonstrate the willingness on the part of the head of the state to approve a selective approach to the prosecutions relating to crimes. A dual policy of – on the one hand encouragement of the commission of crimes and on the other, preventing investigations and prosecutions of crime – became a glaring feature of those dark times. It may be the intention of Mr. Rajapaksa in making this statement to appear as the saviour of the armed forces. However, the public impression that is created by this statement is seriously damaging to the image of the armed forces. It quite implies that the armed forces having being involved in the commission of enforced disappearances, and that these crimes should not be investigated. The armed forces could be involved in the commission of enforced disappearances only in one of two ways. One is, either some officers have violated the military law and discipline and on their own committed some heinous crimes such as commission of enforced disappearances. If this be the case, there is no reason at all for such officers to be protected. Those who commit crimes against the law and military orders do not deserve protection and in fact the military would be better off for prosecuting such offenders. However, the second and much worse scenario is, if the head of the state has in fact authorised the commission of such crimes. In which case, there is a much more serious problem of commission of crime against humanity – which is one of the gravest crimes under international law. If, Mr Rajapaksa is perhaps thinking of such a situation, then he should come out clean about his own involvement in a crime, rather than try to implicate the armed forces. However, our concern at the moment is that nobody in Sri Lanka should be allowed to say that any crime – whatever the crime may be, should not be investigated and prosecuted. If as a country we do not take that position, then we cannot survive as an organised society. The prime strategy for the protection of an organised society is the prosecution of crimes. And this fundamental position should be reasserted if we are to get back to reconstructing a society on the basis of rule of law and to ensure good governance. The statement made by Mr Rajapaksa is a blatant attack on the principles of rule of law and of good governance. As such, this statement should be condemned and the implications of such statements should be explained to the people so that their own security as an organized nation based on the capacity to protect law could be preserved against all assaults. This Tsunami Hora should not have been the Head of State, to start with. It was the folly of the majority of the voters which lead to the calamity of our Nation. The war would have ended anyhow by our valiant armed forces with the comradeship of Sarath Fonseka. This moron was a born swindler turned into a monster by unchecked power given by the foolish masses. The worst part is, still most of the southern voters haven’t still realized what a monster, this two legged creature is. These articles should be translated to Sinhalese and made available for the majority to read and understand. Do not worry Mr. 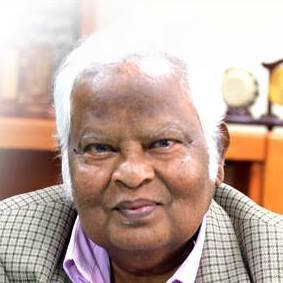 Basil Fernando. Very soon Mahinda will go missing. Then his relatives will apply to the OMP to get the death certificate and enjoy the ill gotten wealth he has stacked in foreign countries. If Prabakaran is still alive half of you thoppies would be underground and the other half licking the arses of Vellalas. Well said Piyal, your comparison of MARA with Prabha, is most welcome. I agree, MARA is a worst state terrorist than Prabha. Prabha made it obvious who he is, but MARA was a hypocrite acting he is the president for all communicates, but discreetly exercising racist policies. Mr. Basil Fernando 60,000 sinhalese youth were burnt on tyres during 88/89 period where were you then. Probably the LTTE diaspora was not paying you then to take notice of it. By the way did you know that the Nandikadal Thambi had underage boys recruited to fight and also forced civilians to the battle field. Held a human shield against advancing Sri Lankan Forces. Tch Tch now if you talk all that the diaspora dollars will dry up. Sri Lanka has never seen the likes of the mastermind Goebbel, until of course DJ. Goebbels philosophy in summary “lie, lie, lie and lie, and then it will become the truth in people’s mind! And now the master has become Patriot-tick (recall what MR called him at Aljazeer? ), too shy to show his real face. Still with a begging bowl, seeking MR’s favours? You seem to have a misguided or misunderstood meaning of Patriotism. Just because atrocities were committed by a bunch of terrorists does not mean that the civilized society should condone similar atrocities carried out by the armed forces of a democratic country. In a civilized democratic country, every one is entitled to justice according to laws of the country. If psychopaths & killers are able to get away with murder, then the judicial system is at question but that does not make vigilantism an alternative because that is what happened in these cases, the armed forces have apparently been the judge, jury & the executioners. If the armed forces are not disciplined, they are no better than the terrorists. SL is supposed to be a Buddhist country, which, as I understand, is, governed by Buddhist principles. If that is so, we seem to be forgetting an important saying of Buddha, which loosely translated is, that vengeance begets vengeance. I am surprised that MR being a lawyer himself & a human right activist some time ago, thinks it’s ‘betrayal’. What a hypocrite. I am asking you the same question. You shameless donkey, to this day you sinhalese masses still behave like dumb fools and what have you done to take to task those responsible for those sinhalese murderers? See the Tamils how they have made all the noises, right or wrong, and how even those in the diaspora giving so much headache to your leaders. What a shameless bunch of spineless donkeys have the gall to talk about the Tamils. And you call yourself patriot with nil/zero patriotism to bring to book those who butchered and made faceless thousands of sinhalese youths. I dare you to do that instead running with your tail in-between your legs, shameless creature. You mean to say you were such an ignorant idiot that on both counts – recruiting under-aged children and holding civilians as human shields – the LTTE has been implicated and rightly so instead of the bluffing MR who claimed that his soldiers carried the human charter in one hand and the gun in the other, that he claimed resulted in zero civilians. And what kind of zero baboons must you people be to believe such an “evangilical” butcher. Uneducated fat man shooting himself in foot, get him to merchants ward along with Basil who never finished school? How is that “uneducated fat man shooting himself in the foot”? Will you care to elaborate. Let us see who has shot himself in the foot then? When following the day to day news,political write ups,Official/Public and media investigations on financial and various other crimes committed by Politicians, Services personnel and other Government Officials, Citizens are at a loss to understand the lethargy and the unwillingness of two top most leaders of the Country,as to why they do not use their legitimate powers to do what they promised at the Presidential and Parliamentary Elections. We are constrained to believe they have vested interests and are guarding some of their confidants.Even today we hear deals being struck by Govt. Ministers,MPP.and top Govt. Officials.It is not the country’s priority to promise high flown prosperity and people know better than the politicians it can never be achieved with dishonest and thieving opportunists.Greater majority of people want the Govt.to mete out justice and the return of what has been pillaged and plundered from the nation.Government has only to put the law in motion and should not allow anyone to interfere with the process of justice.Almost 24 hours of the day people are invoking God and goddess for deliverance but they will never respond unless those vested with power, do their duty by the people. You may perhaps not agree that human lives are more important than money. Can you comment something on 1983 and 1989 during which periods Ranil Wickremasinghe was a powerful Minister in the government. Do you think it is too late to investigate or money stolen by Rajapaksha must take priority? As the head of the team who drafted the OMP bill can you enlighten the readers the rationale behind on this curious clause which says that the name of a missing person should not be taken off the list if the person is found without his/her consent! All those who profess to be `patriots`in Sri Lanka these days are bloody rogues! Do these scoundrels think that the law should not apply to members of the armed forces who have commited crimes? Those who financed the kids carrying cyanide capsules and suicide jackets are the greatest human right holders today. A war with terrorists for a lawful army; where the enemies (terrorists) are in uniform as well as civilian dress is different to conventional war. For the civilian deaths of such a war terrorist themselves are responsible and further the direct and indirect supporters of that terrorist group and sympathizers should share the responsibility. So, if there were thousands of civilian deaths during the final phase of armed conflict in Sri Lanka the main responsibility holder should be the LTTE. That doesn’t mean that government forces should have been given a right to fire at their whim and fancy. They had to be cautious and try their best to identify the enemy using maximum time. But what happened, did the UN, Britain and France allowed the Sri Lankan forces and the government to be cautious using maximum time? Their unreasonable and unsought pressure upon the government may have effected to expedite the last phase barring chance to be cautious. So if there were civilian deaths, who were the main contributors for that? It’s the UN, BRITAIN and FRANCE. AS some one wrote in another issue some time back that you are insane,and you blab incoherently is indicative of your psychologic disorder. As they suggested you must see a doctor ASAP. Don’t blame UN,BRITAIN OR FRANCE for the murders committed by your armed forces, take responsibility for their action as they are your people. You were in power because of them and they what they did for you, so defend them now they are in trouble. Thanks for the request to be a good man and hope you’ll also endeavor to be so as I do. All the criminals should be apprehended and dealt irrespective of their social political or economic standing. I just mentioned about a possibility that pressure built up against any government for ceasefire in the final phase of a war may lead to expedite and humane factor may be weakened. I still maintain that idea. I don’t have personal grudge against the UN, Britain and France. Go on be a MAN and do the right thing. As I’m not a doctor by profession I can’t reflect your comment back to you to see a doctor. in me or in you? Your mind seems to be very confused, I’m sad about it. If you like, read my entry again and see whether I’ve blamed the UN, Britain or France for murder. I just mentioned that their action might have had an impact to reduce humane attitude of Sri Lankan government and soldiers, that’s all. I still maintain my idea. There’s a belief that in democracy people have power but sad that though Sri Lanka is democratic, I didn’t and do not enjoy power that you mention. I wonder what on earth made you to equal me to Mahinda Rajapakse or what on earth made you think that I’m Mahinda Rajapakse. Robotic professional dissection and prognosis. Far superior to GOD’S warped views. Now GLP has to bury his head in the sand. Hiding Behind Patriotism and the Militery to hide the crimes committed in the past won’t hold for a long time. Mahinda is doing this protect him and his goons and not the military as when the truth comes out the military will be cleared for except his goons and family and himself and few rif rafs of the military higher -ups who gave orders for these crimes. Being a buddhist and yearning for a permeant peace i wish this would happen fast so that eternal peace will come. I WAS INFACT GOING THROUGH THE JOINT OPPOSITION MEMBERS and found a startling information … All of them are crooks embezzlers rogues and card board patriots and we need thousands more police men to investigate them as during the past police men gave this guys protection. MAHINDA WIMAL UDAYA WELGAMA ROHITHA JOHNSTON MAHINANDA CHAMAL…..need not go oon THEY all should be in JAIL and not the PARLIAMENT. It looks some of the missing people had been govt informants and they are living overseas with aliases. The function of an Office for missing persons will only be cultivating hatred. After 6 years of the armed conflict there’s no practical and humane purpose of having it except for the UN and other foreign powers to intervene unnecessarily. Updated – FCID No.64/15 Basil R. Rs.396 Mil. In 3 Property purchases. FCID No.17/15 Yoshita R in 8 Transaction Rs. 707 Mil., FCID 138/15 Namal R in 16 transactions Rs. 347 Mil., & FCID 82/15 Champika Karunarathna Rs. 5 Mil in Extortions. These will only be used for political brow-beating as and when necessary? “Mahinda is doing this to protect him and his goons and not the military as when the truth comes out the military will be cleared for except his goons and family and himself and few rif rafs of the military higher -ups who gave orders for these crimes.” — whats i said yesterday and these are the root causes for these cover ups of this investigations. people should be made to understand that nobody is above the law no matter what the circumstances are . Ant body against any inquiry of what happened in the past should be checked out of power and as you see most of the politicians who are opposing this are the oppositions members who are bosom crooks of Mahinda. MAY BE LETS NAME THE JOINT OPPOSITION AS THE JOINT CROOKED OPPOSITION as many including the learned opposition members such as G L Peiris , and other so called learned side kicks such as DAYAN J , RAJIVA , PALITHA KOHONNE all should be charged in courts for aiding and abetting this crimes. It is not GOD’S but G. L.Peris’s warped views. Why is this out side SL law and no oversize by the SL courts of law? Why terrorists who change their names and now hiding in foreign or local area is not available under statistics ? OMP will have the power to receive funding directly from any foreign source. ..Oh really , are we under colonial rule again? The provisions of the Right to Information Act will not apply to the work of the OMP. No court, not even the Supreme Court can order any officer of the OMP to submit to courts any material communicated to him in confidence. The Office of Missing Persons will not be a part of Sri Lanka’s State law enforcement and justice system, but an independent body incorporated by parliament which gives its members the power to function outside the normal rules and regulations that guide state institutions…. So now Sudda will tell us what to do ? You may be a fernando with portuguese blood, if you want justice put it under the countries law and not from colonial with a agenda. This idiot got so much hatred towards the country and we should have asked HK govt. deport him to SL and answer some basic questions. He is part of the SL law institution that is so corrupt they don’t even the meaning of the word corrupt. Shame on this kind of morons that used to run the law and order in SL and now under terror payroll . What we need is proper constitution with proper check and balances to address corrupt political and judicial system. I know this fucker will never ask for that since he is part of the system. Watcher, What you need to know is that the expatriate Sri Lankans in Hong Kong, of which I am one, hold this man in contempt. They know him for what he is. It is essential to find out the fate of all the missing persons during the governments of JR, Premadasa, Chandrika and Mahinda. Armed forces personnel are paid employees of the govt. They ere expected to perform their duties within certain rules and regulations. Where as they can kill the enemy in combat it is not regular to kill civilians or those who surrender. In this sense they are like any other citizen not above the law. MR’sproblem solving approach is wrong.This approach being short sighted would put all of us in trouble. Rajapaksa’s statement clearly shows the military under his command committed heinous crimes and he wants to protect them. This again indicted why so many among the Rajapaksa family and their supporters are opposed to foreign judges taking part in the war crimes investigations. By this the rotter Rajapaksa has proven the guilt of the SL military and himself and Gota in the commission of war crimes and crimes against humanity. WE should be careful in prosecution as the benefit of the doubt be given to the accused. We should not give protection to witnesses that they may try to fabricate a case.video evidence should be handled by competent people who are unbiased. Its better if our people are trained abroad. PSTD and other mental illness should be taken into account in a terrorist environment. If any he buck should stop at the top.